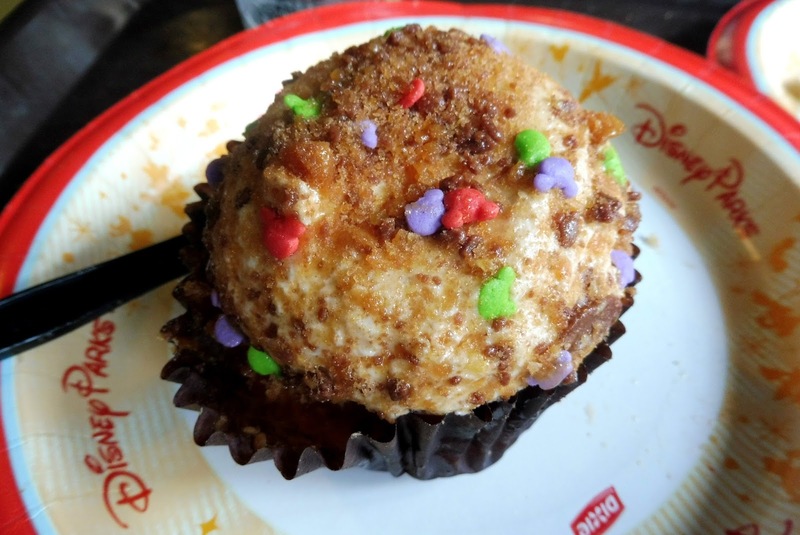 Top 5 Disney Sweet Treats! Hello again! Hope your having a great week and looking forward to the weekend! Today I thought I would share with you my Top 5 Treats in Disney World! Some don't look as cute as others but believe me these goodies were amazing! Top of the list has to be the rice krispie treats, but not any! 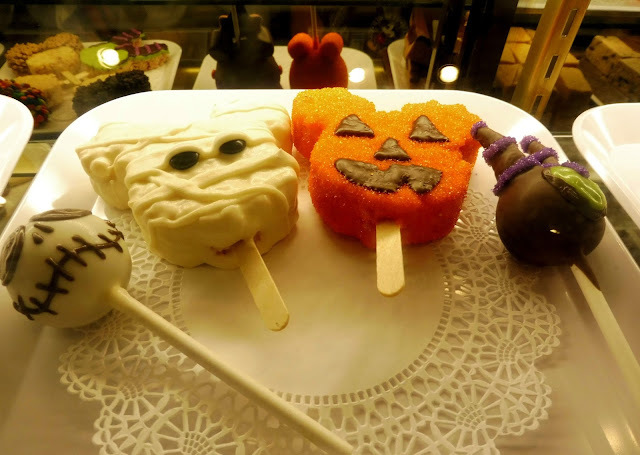 The mummy in particular is amazing - not only is it filled with gooey marshmellow and rice krispies but covered in smooth white chocolate! They were soooooo good and look so cute too all Halloween themed! 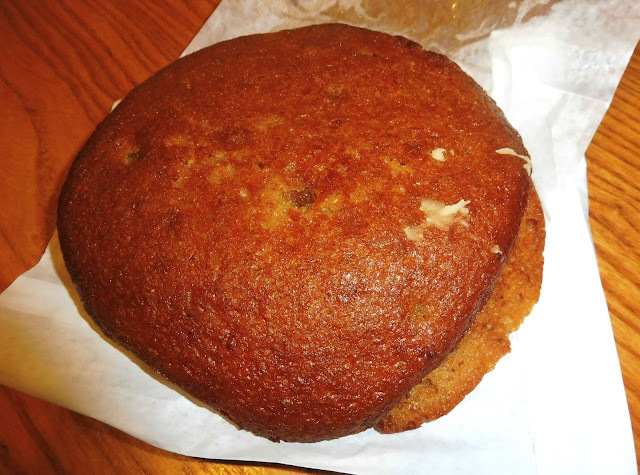 The best place I found these was at Downtown Disney's Candy Cauldron or Main Street Bakery in Magic Kingdom. This year was the first time I picked one of these up and I wish I could re-track all those years and choose differently! 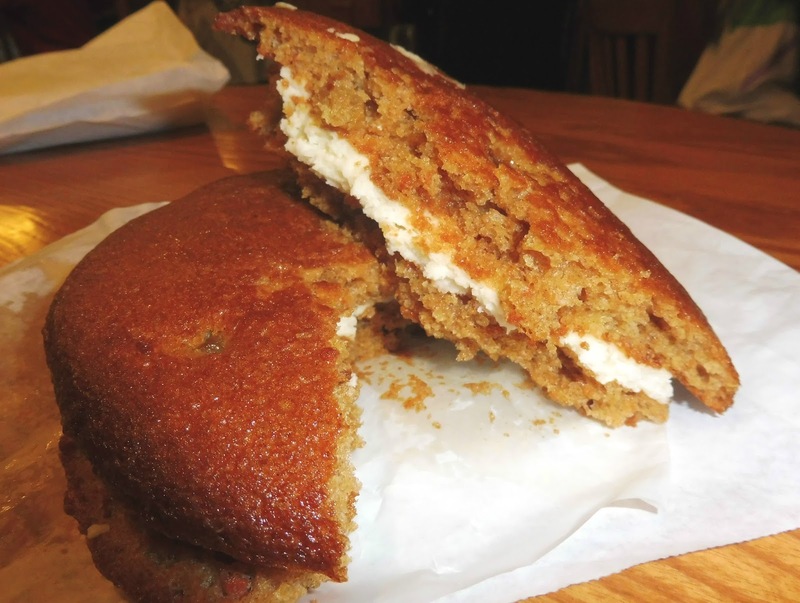 This was unlike anything I have every had - I am a huge fan of carrot cake but in a cookie form - that is what I'm talking about! Soft cake on the outside and stuffed with cream cheese icing it was super soft and tasty! We shared the majority of these snacks as they can get sickly and are on a BIG scale! I only found these at Hollywood Studios in - The Writers Stop or Sweet Spells! 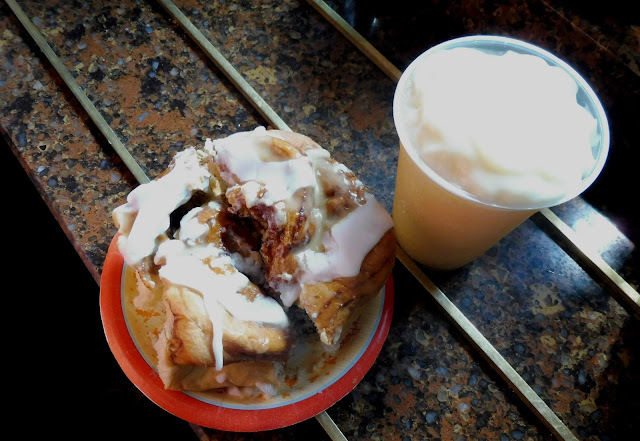 Located at Gaston's Tavern in Magic Kingdom this Cinnamon Bun was hands down the best one I have EVER tasted! I apologize for the not so pretty picture but believe me it is beautiful. We actually shared this between four it was huge! But I definitely could have tried one all by myself if I was hungry! It was warm, soft and oozing with cinnamon and icing - I have had fresh cinnamon buns before but nothing compares to this - please go and get one it'll be all your dreams rolled into one! We also got the Le Fou's Brew which is a sweet iced apple flavoured drink with a hint of marshmallow and topped with mango foam - again it is unlike anything I've tasted but another must have from Magic Kingdom! Not only am I talking about these cookies above, all of the cookies you find in Disney are so tasty for there own reasons! This year I got the top left with the chocolate and chocolate chips in, again it was HUGE! But soft short bread and covered in chocolate - I think this says it all, yum yum yum! 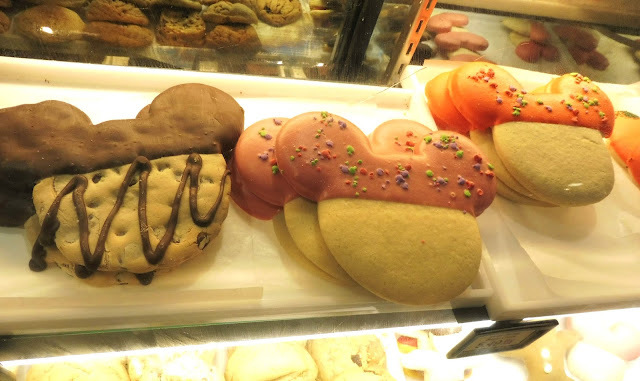 You find these at most bakeries in Disney, they are really popular. I forgot how good this looked! 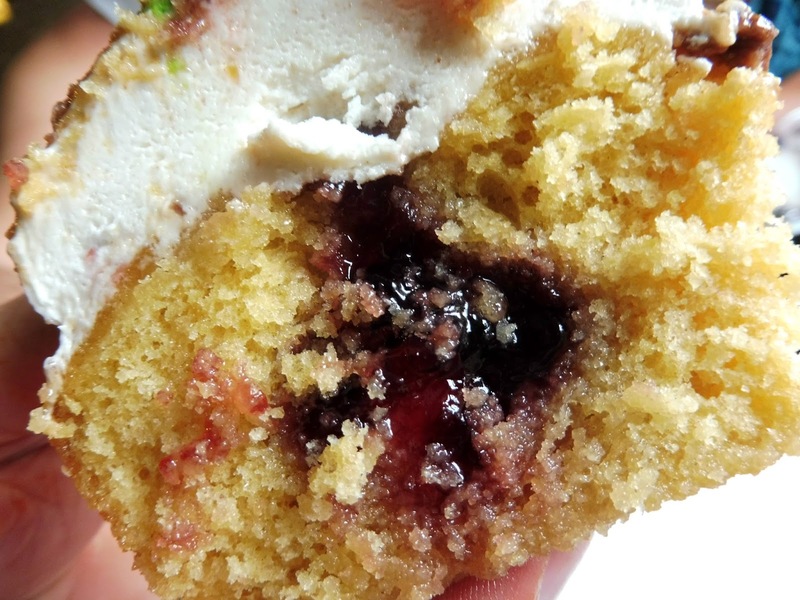 Firstly not only is this slot about this particular cupcake but the majority you find in the parks! I'm not usually a fan of cupcakes but these ones are on another scale - the most unusual flavours, soft sponge cake and thick butter icing - yep don't mind if I do! This one was from Pizza Planet in Hollywood Studios! The peanut butter was just right nothing overpowering and the center contained gooey jelly inside - but I think the picture says it all! So that was my Top 5 snacks in Disney - the food is amazing here! The variety is endless so if you are looking for something healthy - they have it, savory - they have that! and of course as you can see they cater to those with a sweet tooth - that's for sure! The best thing about these snacks as they are all free using the Disney Dining Plan which I have spoken about in Disney posts not only do you get the amazing table service meals I have posted about but quick service meals and a snack a day which can look like any of these and way way more! Hi, I'm Mellissa, Lissy for short! Welcome to my blog Life as Lissy, I hope you enjoy reading my thoughts on all things from beauty, food, travel and lifestyle. Affordable Conceal & Highlight Palette! Exploring The World | Disney's EPCOT! Dinner at Disney's Yacht Club & Boardwalk!